By Jake Rocheleau in Toolkit. Updated on April 23, 2018 . Google is at the forefront of modern web design. It offers so many tools from Analytics to DevTools all with the aim of helping people make a better web. Recently it published another handy tool called Lighthouse. This is a free automated testing tool that runs in the background of Chrome. 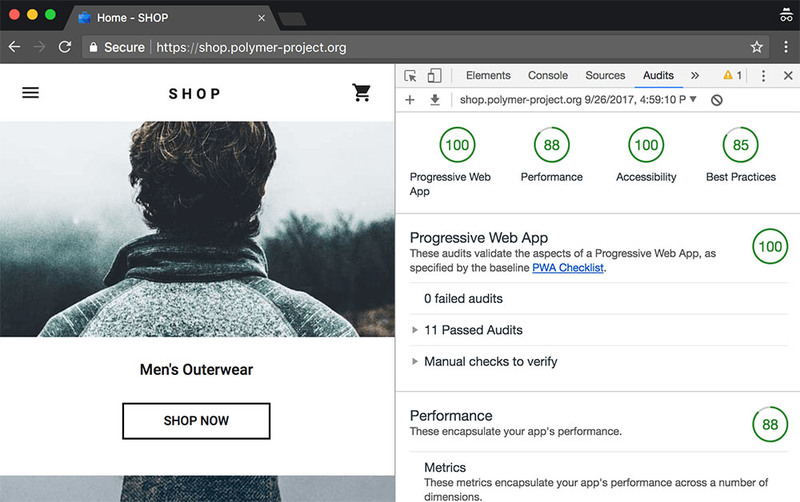 It works like a mini website audit where it’ll check the site’s performance, speed, accessibility, and adherence to semantic best practices. The Lighthouse extension was created primarily for progressive webapps. These are general webapps that run in the browser and behave like native apps, yet function like typical websites. PWAs are a huge part of the Lighthouse project. But the goal of Lighthouse is to help all web developers check the quality of their pages. This can include HTML/CSS bug checking or looking for duplicate lines of code. Lighthouse also looks into web performance with optimization tips for images, file sizes, HTTP requests, and so much more. All the main audit results appear right inside Chrome’s DevTools so you don’t even need to open a new window to check stats. 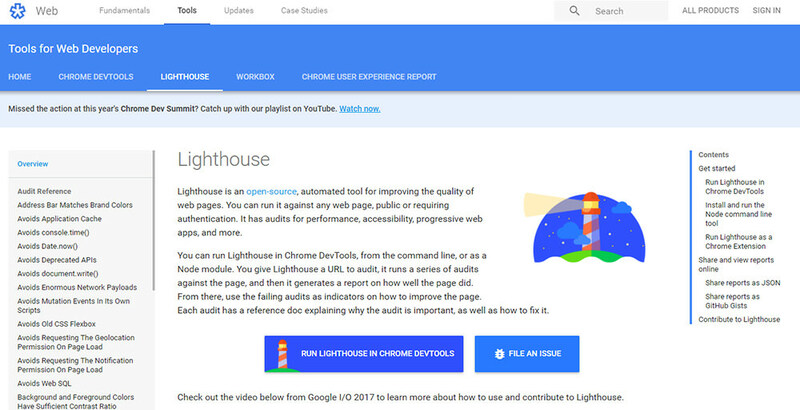 All you need is a running version of Chrome and some time to sift through the Lighthouse audit results. Each category breaks down further into smaller properties with recommendations for UX improvements. At the click of a button you can pull audit results that’ll help you radically improve website performance, speed, usability, and pretty much every metric Google cares about. If you wanna learn more skim through the main page and read up on Lighthouse’s many features. You can also watch this presentation from Google I/O 2017 which first introduced Lighthouse to the dev community.